The club are about to kick start a new Common Ground project aimed at ensuring that Blundell Park is welcoming and inclusive for all. We are very pleased to be working on this alongside The Club, GTFC SET and The Equality Practice. Could you please take a few minutes (less than 5 mins) to complete the survey below. It will help us understand the profile of those currently attending and some ideas about how the club could improve in this area. Thank you. 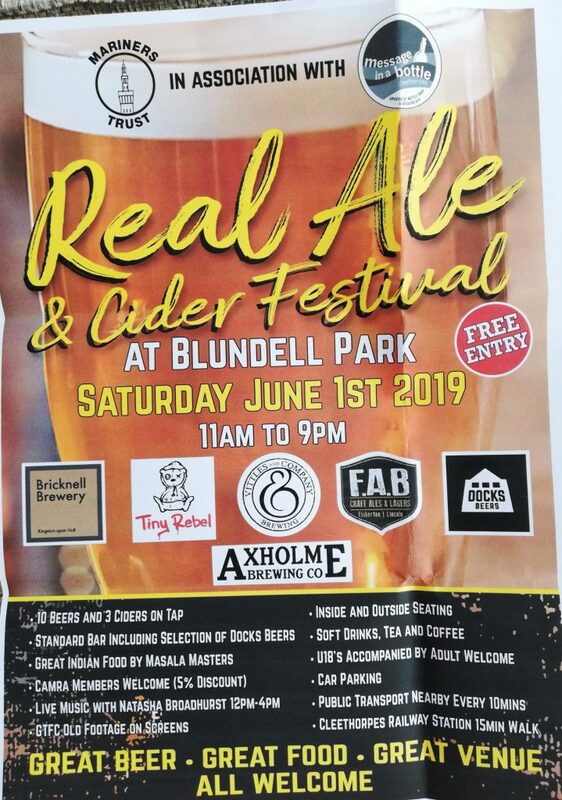 Date for your diary, first ever and hopefully annual Real Ale and Cider festival at Blundell Park. Mariners Trust in association with the brilliant Message in a Bottle have organised a great day of beer, food and entertainment for everyone to enjoy. Entry is FREE and we have beers from these great breweries. and also a great selection of bottled and canned beers from Message in a Bottle and Docks Beers. CAMRA members very welcome (5,% discount). In addition we have Indian Food from the amazing Masala Masters (www.masalamasters.co.uk), afternoon music with Natasha Broadhurst and GTFC footage on the screens. Inside and outside seating available as well as standard bar, soft drinks, teas, coffees and hot dogs. Easily accessed by public transport and Car Park available (Imperial Corner). We are holding another of our popular Football Quiz Nights on Friday 5th April 2019 starting at 7.30pm in the Trust Bar. 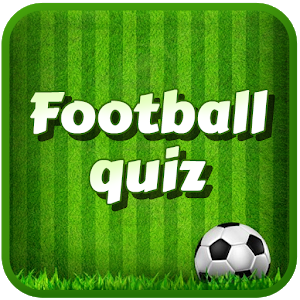 As usual the quiz will cover a wide range of football topics but with a GTFC bias. We will also have have another of “Pete’s cryptic stories” to test your creative thinking. Entry is just £5 per team (max 4 people) and the format will once again be “Bingo” style which gives more people a chance to win. There will be prizes for the winners and spot prizes throughout the evening. Alternatively you can just message us at enquiries@marinerstrust.co.uk to let us know you are coming and we will make arrangements. It was great news recently that the consultants engaged by NELC concluded their studies as to the benefits of building a new Community Stadium Complex in the Town and also deciding on a recommended location. It was also very encouraging that a lead developer has come forward with proposals for additional leisure facilities such as an ice rink as well as much needed affordable housing. Our position on this all along has been that whatever the recommendation we need to get behind the project and make it happen whilst at the same time having sympathy for any genuine concerns and striving for the best possible solutions. Other towns and cities have embraced such schemes and left us way behind. These clubs would include the likes Swansea City, Hull City, Chesterfield, Rotherham and Doncaster Rovers, all of which have suffered financial difficulty and have then gone onto become self-sustained and have also gone onto achieve greater success. Although recent developments are encouraging it is vital that local councillors understand how important this scheme is, not just for the football club but for the local economy overall. Not surprisingly the people with concerns are making their views very clear to local councillors and it is really important that councillors also get views from those in favour. To this end, we have set out below what we see as the major benefits of the project and we would encourage as many people as possible to write to councillors in support. By Clicking here all local councillor e-mail addresses have been programmed into an e-mail for your convenience. This group also contains contacts at the Grimsby Telegraph, Cleethorpes Chronical and Radio Humberside, as those with concerns are very active in these publications. The most common concern seems to be around traffic and access. There is no doubt that in general terms, NELC will need to have improved infrastructure around the Town as part of the long term vision and ultimately, the project will not pass the planning stage if the road solution is not suitable. Provision of park and ride and cycle/pedestrian access will both be a big help in reducing congestion and of course, matches take place at off peak times. This is a fantastic opportunity for a major flagship development for the Town with huge social and economic benefits, whilst also securing the long term viability of GTFC. We need to make it happen. Hi Guys – Just to let you know we are undertaking a tidy up on our website shop tonight so that we can use the dispatch function in the future. This will be mean that some people will receive e-mails about confirmation of old orders. If you receive one of these please ignore/delete. Apologies for any inconvenience. 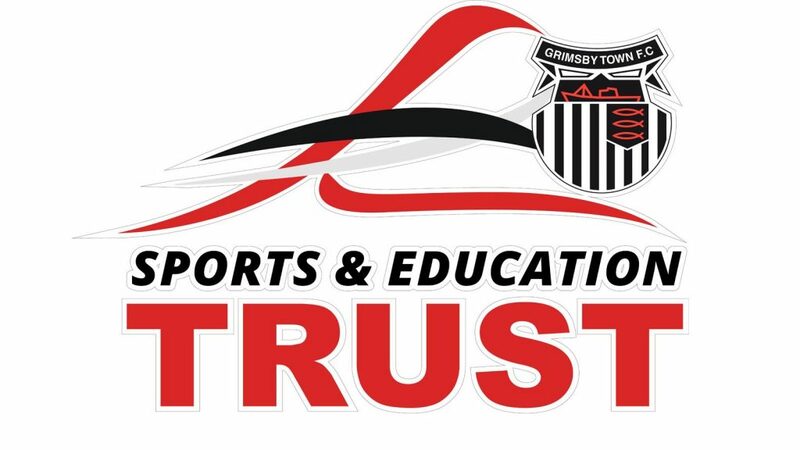 The latest accounts for Grimsby Town have been released this week and in our view make interesting reading. On the face of it, a small profit of £59k is good news and is certainly in line with our objective of being self sustainable but bearing in mind this was our most successful season on and off the field for many seasons you can see the difficulty in being competitive on a sustainable basis. Even with extra revenue from TV and supporters (via Operation Promotion), we still spent less money than others, including the team we beat in the final, and credit must go to the management team and players for achieving the long awaited promotion. Now that we are back in league we do get additional revenue via the league but equally staff costs go up considerably and again to be competitive on a sustainable basis is very difficult. Thankfully our amazing support is holding very well and it looks like this season could be ok financially as well, but we also know how quickly things can change. History shows that in a poor season a financial loss of £200-£300k or more can easily incurred at which point we are relying on directors to plug the funding gap or making dramatic cuts to budgets neither of which are desirable solutions. We are in no doubt that the only way to competitive sustainability is a new stadium so that we can unlock new income streams both on match days and on a day to day basis. Stephen Marley made the same point when he commented on the accounts and our new manager Marcus Bignott clearly refers to this when he talks about coming here for a “project”. The attraction of new and better facilities will certainly be a big factor in attracting players to the club. We need to really get behind the stadium project and we will shortly be appealing to everyone to contact councillors and local media to show support. We will post documents on our website ahead of the meeting. We anticipate the formal meeting to be no more than around 15mins and then we will have an open meeting and answer any questions from those attending or received in advance. Only paid up members can participate at the AGM. It is not vital but would be helpful if you are attending that you drop us an e-mail at enquiries@marinerstrust.co.uk to let us know so that we can get an idea of numbers attending. We are sure that you join us in welcoming Marcus Bignott and Micky Moore to the club. Jon Wood, our representative on the GTFC board, has been fully involved in the interview and selection process. His feedback has been that although all the candidates were good Marcus stood out above them all and the board all agreed he was the best candidate. He is particularly keen to be involved with the community and we look forward to working closely with him going forward. Have you ever heard a song about Phil Jevons signing for Yeovil? A poem about the 2006 play-off final against Cheltenham Town? Join us for what promises to be a very special gig as Can You Hear The Grimsby Sing? brings together some of the brilliant writers and musicians among the Mariners’ fan community to perform work that reflects on Grimsby Town and the town of Grimsby. The Mariners Trust has joined forces again with the team behind last year’s We Are Town book to stage this unique event celebrating values and experiences that will strike a chord with all Town supporters. Proper football. Working-class culture. And all that makes up our distinct identity as Grimsby supporters, whether it’s Clive Mendonca’s hat-trick against Ipswich in 1996 or the remembered sound of your dad’s moped engine as he set off at 4am for his shift on the fish docks. Reminder that these are available in all the bars and online here http://www.marinerstrust.co.uk/cat/draw-tickets/ . If anyone thinks they can sell a few tickets on our behalf please get in touch, it would be really appreciated. Also we have booked Saturday 4th March v Wycombe as our play on the pitch at half time for Junior members. We will be announcing details of the draw for this early in the new year. It has taken a while but we will shortly be starting the distribution of new membership cards for adults starting with life membership and then to everyone with more than 6 months left before renewal. For all those with less than 6 months we will be issuing cards on renewal. The next stage is that we are working with a number of corporate partners to offer some special benefits for Mariners Trust members. More details will be announced in the new year. Our latest newsletter is currently being put together and will be ready early in December. We think this a great way of keeping fans informed but we would very much welcome your feedback to let us know if you agree or how we could improve. As ever thanks for your support. As a consequence of the rescheduling of the Grimsby Town v Sheffield United EFL Trophy game the venue for the AGM is no longer available and we have therefore put the meeting back one week to Wednesday 16th November starting at 7pm. Here is the finalised agenda.